Managing Multiple WordPress Sites From One Dashboard Is More Efficient Than Multisite Installations? We have talked about multisites on multiple occasions, as they are an integral part of WordPress. We have already compared multisites to our dashboard, in an article ManageWP vs WordPress Multisites, and looked at the basic differences. The aim of this article is to look at managing websites and what is more efficient, managing sites from one dashboard or running multisite installations. Here is a quick recap on the main difference between a multisite installation and ManageWP dashboard. A multisite is a feature of WordPress 3.0 and later versions where multiple virtual sites share a single WordPress installation. In other words, it’s many sites sharing one database, hosting, etc. Over one main network you are able to manage many individual sites, and there are many advantages to this. 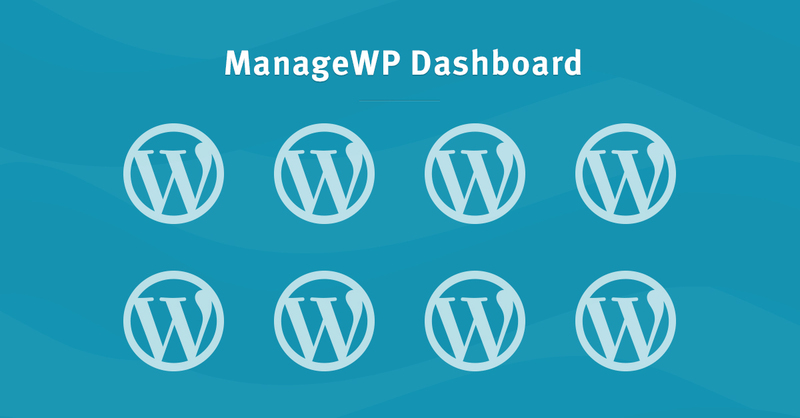 ManageWP is a WordPress dashboard that manages all of your websites in one place. Instead of having one network for all of your sites over which you manage them, each site has its individual WordPress installation and database. All of the sites are gathered and accessible over one dashboard, therefore you are able to manage them. How Can a ManageWP Dashboard Be More Efficient Than Running Multisite? The Update All feature is the USP of multisites and the advantages are obvious. It means that when I need to update WordPress (or a theme or plugin) I only have to do it once, and I have one place from which to manage all of my client sites. An Update All feature means, that it’s all available over one network. For those managing websites professionally this is a Godsend. But, when it comes to managing users or settings on individual sites on multisite, you still need to log into each site separately. 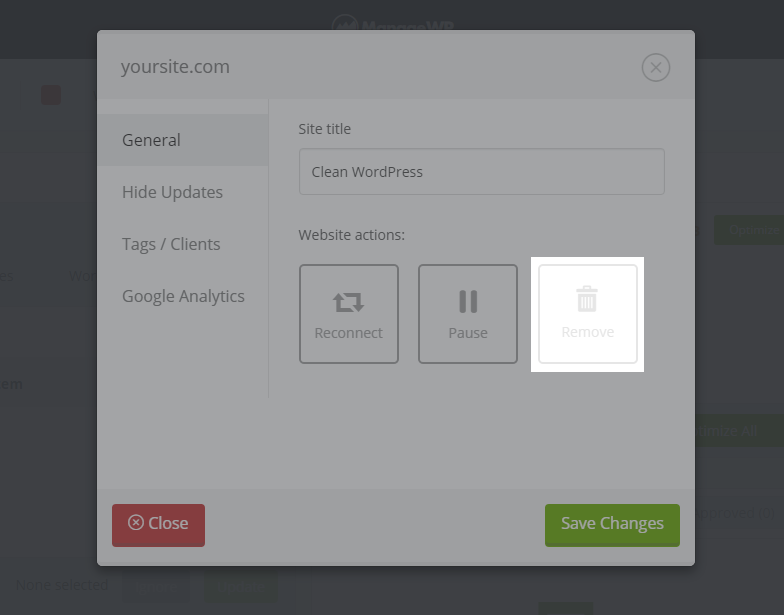 ManageWP has found a way to eliminate this extra step as well, instead of having access to just Update All for themes, plugins or WordPress, you can change/update settings and users on individual sites just by logging into ONE dashboard. Logging into one dashboard is more efficient than having to log into each site to adjust settings, would you agree? Adding sites is an important aspect when in the business of managing websites. It should be easy and hassle free to add sites. So how does it work with multisites? Firstly, you need to remember when adding a site to multisites, you will need to use subdomains. You need to actually understand code and know where to add a line of code in your wp-config.php, define( ‘WP_ALLOW_MULTISITE’, true );. This is followed by then installing multisite on your WordPress admin screen, still some more code copying to do, some more editing of wp-config.php and .htaccess, log in and out again and Voila! Easy? When adding sites to the ManageWP dashboard, you need to go to the individual site and install the Worker plugin, activate it. Go to the ManageWP dashboard, and click Add Websites and Voila! Slightly easier? Like with adding sites, it’s useful when the process is quick. It’s a great time saver when it takes seconds to do. 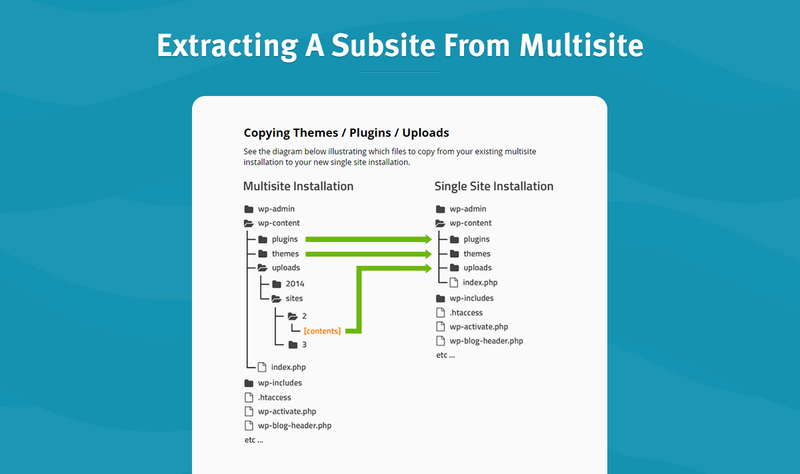 Unfortunately, multisites don’t easily allow you to extract a subsite from a multisite installation, to create a single site. You need to perform a series of complicated steps; find a subsite table prefix, export an SQL file, copy themes, plugins, uploads and remove users. Are you confused? Here is more detailed information on the process. Here is a snapshot of one of the steps. Let’s repeat the process on the ManageWP dashboard. You can easily remove a website from your ManageWP dashboard by clicking on the website’s name , click on the Remove option at the bottom and Bob’s your uncle. What looks more efficient to you? 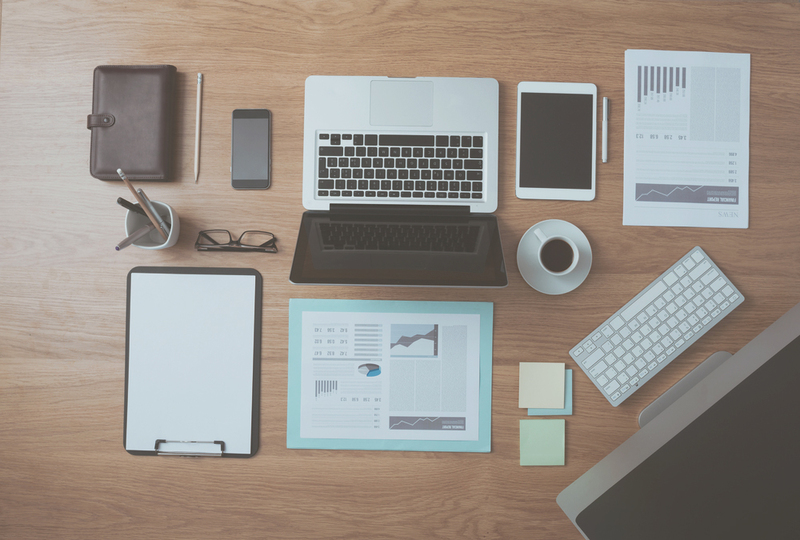 Backups are crucial for each website, because they can come in handy at any moment in time. It’s necessary to have the most up to date backup at your fingertips if something goes wrong, and you don’t want to compromise when it comes to the quality and reliability of backups. There are no excuses for not performing backups. Multisite backups need to be performed always on all sites. With just one database and WordPress core files for all, you need to keep backing that database up at all times. You don’t have the option to backup each site individually, so say one client asks for real time backups, whereas your other ten clients want daily backups, what do you do? What’s the solution, except to backup everything real time? That can’t be efficient, think of the storage space you would need, the server timeouts and the endless hours spent for backups to complete. Solution. ManageWP. With the ManageWP dashboard, you can set how often each site performs backups, if it get’s stored on our AWS storage in Europe or the US, the client’s external destination, and it takes seconds to perform. Our new backup is incremental, so it backups only the changes it detects, no more backups of all files and certainly not like in multisites where backing everything up is the only solution. The same principle applies to clone, multisite offer all or nothing. Either clone everything you have or don’t, whereas ManageWP offers you a slightly more sophisticated clone. Pick and choose your websites and with one click clone them. Another convenient feature of the Clone tool is that you can use it to clone a site template. Create a template of a site, keep it either as a separate site or as a zip file, and when adding a new site simply clone the template. That way you never need to start from scratch. When discussing efficiency it’s important to take into account your client’s happiness. Why you ask? The simple answer to that is, happy clients don’t complain, and you can spend your time focusing on managing sites, rather than managing client complaints. Multisite WordPress makes clients happy in that it’s great for those who want no involvement with their site. Yes, those people exist. Newbies want a ready site, don’t want to make any decisions or take control. In this case multisites are great, you offer them a theme, plugins, the whole package and they can sit back and relax. With ManageWP, you can offer the same as above and more. There is nothing from stopping you to offer the whole package when using our dashboard. If clients don’t want to make any decisions they don’t have to, but they can. You can offer your clients more freedom, separate database, hosting, plugins, theme, backup and clone solutions and many more perks. You can send them reports with what’s happening on their sites, it takes only a few clicks. Imagine not having to answer countless emails about site status, avoid all of that with a customized 2 click monthly client report. Let’s talk privacy and security. With ManageWP you don’t overstep the client’s privacy, all they need is to have an active Worker Plugin, you don’t need access to their FTP credentials and hosting to manage their website. They feel secure, and you have all you need to manage their website. The site is fully in the hands of your client, you are just there to make them want to dance for no reason, and ManageWP is here to do the same for you. pick and choose which sites you want to backup and clone and not worry about server limitations. And if that is not efficient enough, you can also offer your clients perks like site reports that keep them happy and complaint free, making you more efficient at managing sites. Don’t fall into the trap, but WordPress and Edublogger are both huge multisite installations that function almost flawlessly, why can’t mine? Yes they are and yes they do, but unless you have many expert software engineers working on your multisite 24/7, don’t expect your multisite to be like theirs. So, have a go, sign up to ManageWP and see if you can be more efficient. Next blogpost:Is It Dangerous to Clone a WordPress Website? There are other reasons to use multisite besides just the management aspect. These days we have to compete with stupid cheap prices of offshore freealncers, so we have to do everything we can to keep the cost of a website down to the mimimum. It saves money on the hosting costs. If you have a bunch of very small websites, one-page sites are very common now, then it is more efficient to use multisite. It takes less space, doesn’t require a separate hosting account. Plus you can still use ManageWP anyway for the backups, reporting, monitoring etc. I am working on the basis that I put 10 x small sites on each multisite installation and I have a main theme (DIVI) and a core set of plugins that I use for most sites. For larger sites that get more traffic and need more resources or a special theme and a bunch of non standard plugins, I put them on a separate installation. Hi Nevena – great article. This is the first time I have used multisite to manage one customers sites – I have built out the sites but each site keeps coming back to the main site dashboard. And all the sites look like the main one – I don’t want to start customizing the other ones and mess up the original. Can you provide some assistance? Thanks. Great informative article timed just right somehow. I have 30 days with WPMU ahead of me but I feel quite certain you are right on many key issues. Especially for our project we have planned for quite some time now. Count on me spending plenty of time on your content during this time. I have known of you for a couple of years now. Clean nice site was my first impression. I bet your dashboard etc mirrors that. You’ve got a few errors in here regarding how multisite is actually administered, just fyi. There are any number of universal-izing plugins that make it quick and easy to update all user settings across sites, forgoing the need to log in to each site. There is no requirement to use subdomains, subfolders are fine, and then individual domains are mapped to the subfolders, it’s very easy with the Domain Mapping plugin that’s free in the repo. As to wp-config iterations, that’s done in the initial setup, not each time you want to add a new site. Multisite backups do not need to be performed on all sites each time you want to back up – again, there are some very good multisite management plugins, many from WPMU DEV, that handle most of this with minimal setup time and effort and practically zero ongoing effort. Adding plugins and doing sites configuration is fantastically easy with multisite. You are correct, the unwinding of a site from multisite is painful, but that’s really the only big drawback. Multisite is not for everyone, but it’s certainly nowhere near as complicated or difficult as you make it out to be, sorry. Frankly I would not think that anyone who’s running multisite installs would be a candidate for managed hosting, so there’s likely not much overlap between the two groups. Thanks for your comment and pitching in with some useful plugins for multisites. I was just comparing raw multisites, and actually think they are very convenient for certain things. If you have any other great plugins or multisite tips, would love to hear them. Thanks.